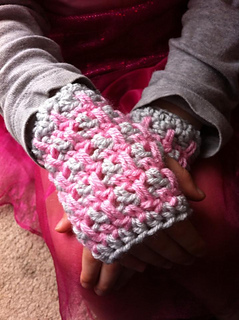 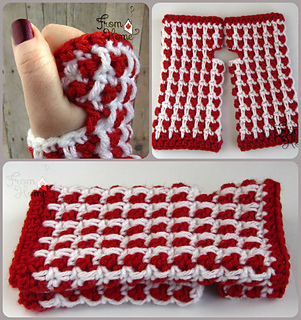 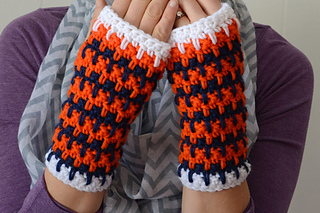 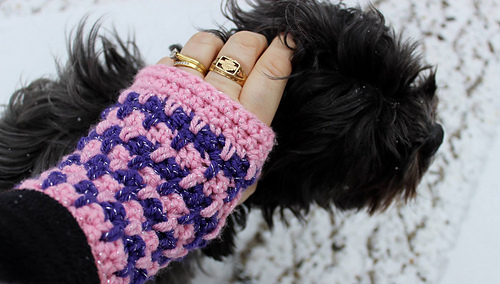 The Chameleon Fingerless Gloves are the companion piece of the Chameleon Beanie. They too live up to their name with the ability to change their look with a simple switch of colour. 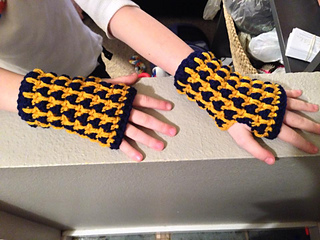 Sizes available are Small Child through Adult. 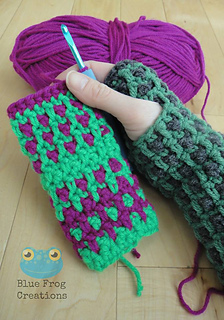 Basic crochet materials are necessary; hooks, tapestry needle, scissors and measuring tape. 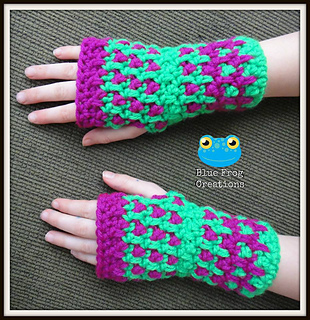 Less than one total skein is needed for all sizes, though you may wish to use two or more colours to achieve your finished Chameleon Fingerless Gloves.